But not everyone is celebrating! Chabowka Tkt48-191 at the 2010 Wolsztyn Parade. Photo BTWT. With so much going on during the Majowka (May Days) week for narrow gauge enthusiasts, it is only fair that BTWT should also cover some of the standard gauge attractions as well. When we look at something we look under the carpet as well, so be prepared for some critical comments! 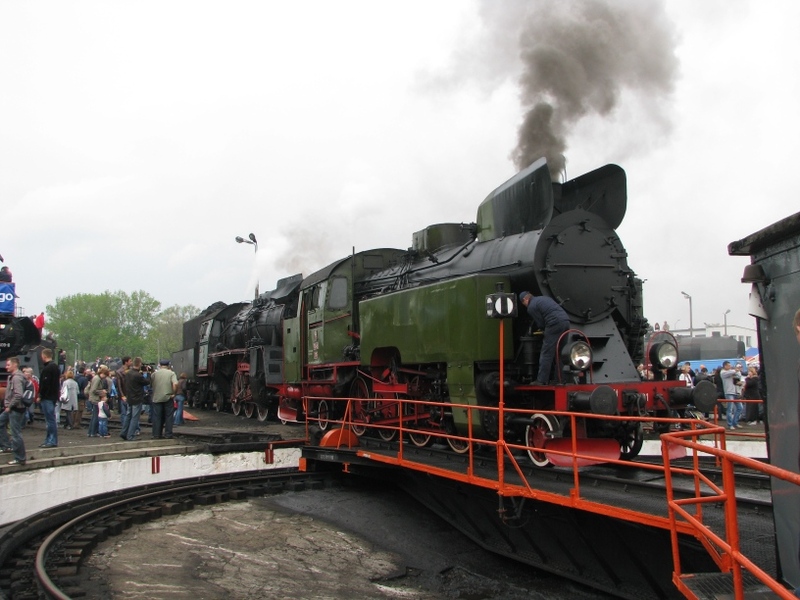 The May festivities start with today’s annual Wolsztyn Steam Locomotive Parade. This is the biggest event of this kind in Poland and is attended by some 30,000 people. One would think that, with so many visitors coming from outside the area, the burghers of Wolsztyn would be enthusiastic supporters of the event. True, Wolsztyn Council does provide the security guards, but that is all. The Council members appear to regard Parada Parowzow as a side show to their Dni Wolsztyna (Wolsztyn Days). They put on pop concerts, a sailing regatta, fishing competitions and support events put on by local schools. A couple of years ago the Mayor of Wolsztyn was overheard by one of our friends listing the attractions of Wolsztyn at a tourism promotion event in Warsaw. 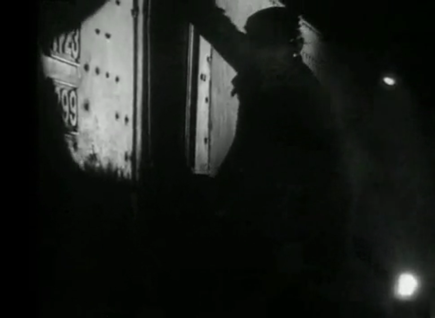 Not once did he mention the Steam Depot, the Steam Locomotive Parade or the steam-hauled trains to Poznan! If today’s huge crowds, steam engines charging up and down a short piece of track and a light show are not your cup of tea, why not go to Wolsztyn tomorrow? 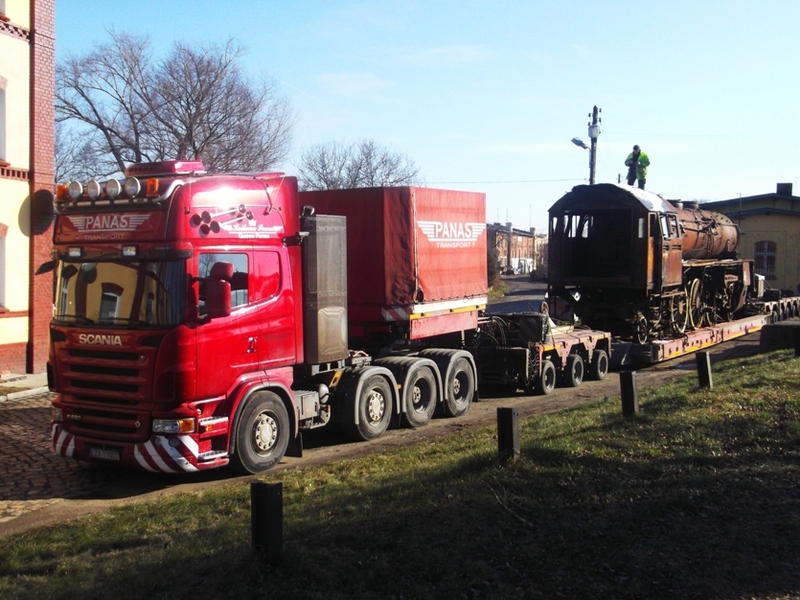 The crowds and overseas steam locomotives will have gone, but there will be steam trains running from Wolsztyn to Stefanowo and Rakonowice and a chance to see Chabowka’s Tkt48-91 doing some useful work. At the end of each year’s Parada Parowozow the same question is asked, Will there be another parade next year? And each year the answer is the same, With PKP Cargo on the verge of privatisation and with Wolsztyn Town Council being so laid back about their steam shed and steam trains, who knows? The Industry and Railways Museum at the old Jaworzyna Slask steam depot is running special attractions during the whole week. There will be conducted tours of the museum and its collection. Demonstrations of the turntable, a chance to ride in vintage coaches, and from 1 May a chance for a cab ride in the museum’s Tkt48-18. The management of Jaworzyna Slask is not loved by the Polish railway enthusiast community. Some difficult decisions had to be made at the start of the museum’s existence, not dissimilar to the Festiniog Railway’s scrapping Moel Tryfan in 1954. Whatever the rights and wrongs of the affair, today the museum’s collection looks superb, Tkt48-18 (thanks to the generosity of Wolsztyn Experience) is in working order, and the museum’s approach to its paying visitors is 100% professional. Koscierzyna is one ex PKP Skasen that nearly got away. Its rescue is largely due to the efforts of Miroslaw Szymanski, the former Chief Executive of Fundacja Era Parowozow who lobbied tirelessly for its takeover by the local council. The museum is open every day, on 2 May the Skansen celebrates its 20th birthday and entry will be free. There will be a railway themed concert and the unveiling of a statue commissioned by the council celebrating the line of 18° latitude. One wonders why the council could not have commissioned the restoration of a particular item or rolling stock instead? The Polskie Stowarzyszenie Milosnikow Kolejowych (Polish Railway Enthusiasts Association) are holding an open day at Skierniewice on 5 May. The amazing collection of railway rolling stock at Skierniewice deserves to be better known outside Poland and this is one event which we would enthusiastically endorse with no reservations. We do have one question which though we have asked the PSMK authorities several times has not been satisfactorily answered. Why – given the society’s very visible need for money – don’t they charge admission to their open days and raise income from ancillary activities like selling guides and refreshments? Or are they afraid that if they do the local council will turn round and hit them with local taxes levied at commercial rates? Amazingly, with a permanent staff of some 8 people, some 6 locomotives in working order and a full time official responsible for marketing, the Chabowka skansen is not putting on anything special during the May Days holiday. It is true that the skansen despatched Tkt48-191 to Wolsztyn with a couple of coaches and its also true that Chabowka put on the annual Parowozjada steam gala in August, but given the resources devoted to the skansen we find it incredible that no attractions – however modest – are being put on during this period. Just to show what the skansen team are capable of – when they put their mind to it – the official web pages boast that on 31 March a private freight train was run at the behest of a – presumably wealthy – German enthusiast from Chabowka to Nowy Sacz along this disused line. We have long admired the engineering expertise of the technical team at Chabowka and their achievement in keeping so many engines in working order with minimum resources. It is a great pity that the people responsible for marketing the skansen do not have the same ‘can do’ attitude. Images of Karsnice. Video by ukasz11111. The Karsnice skansen is a very sad case. It was started by the manager of the railway workshops there in 1989 and a sizeable collection of locomotives and railway rolling stock was built up. His plan was to transfer the collection to a special trust, but he received early retirement (and a reduced pension!) before the trust could be set up. When he left the Karsnice workshops the collection was left in limbo and then PKP’s real estate department, PKP Nieruchomosci, started selling the exhibits. One Ty2 went to the Lodz holocaust museum a couple of other locos were sold to the PSMK at Skierniewice. A ‘Save Our Skansen’ campaign was run by the neighbouring town of Zdunska Wola and some leverage at ministerial level was provided by some international friends. Officially the skansen was repreived. 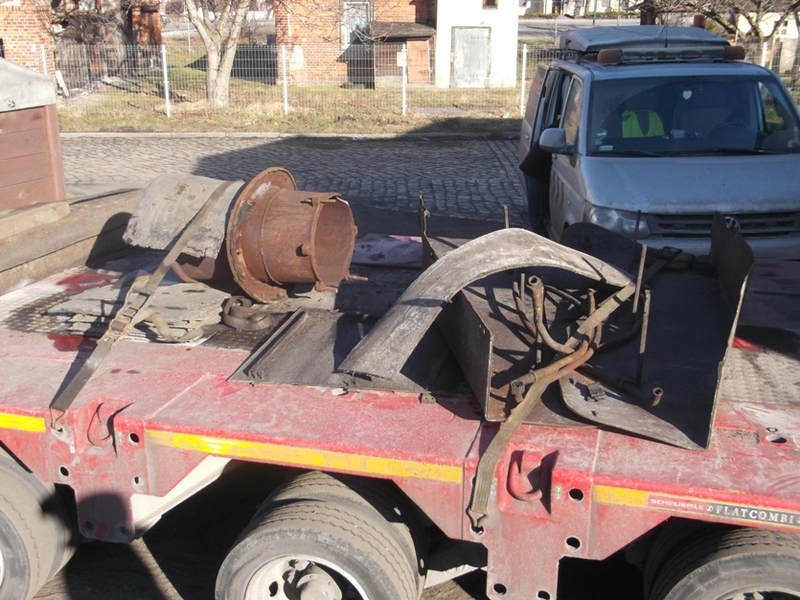 The rolling stock and the land it stood on was transferred to the Zdunska Wola Town Council. The council managed to raise some funds and obtain an EU grant to cosmetically restore some of the rolling stock. But Nieruchomosci transferred only the bare minimum parcel of land. The shed where the Karsnice vintage train of wooden four wheel carriages was not included. This great video by Lukasz Szyczyk shows the tragic result. Sadly, the orphaned skansen here never found a local council ready to take it over with devastating results. 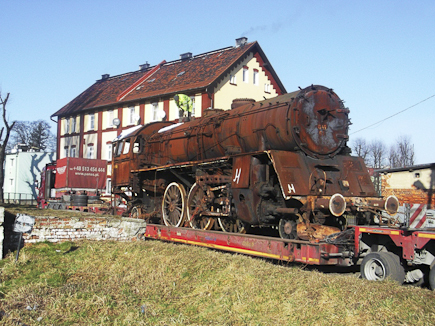 Now Nieruchomosci are auctioning the surviving Ol49-80 and the remaining workshop equipment. This was Poland’s only ‘preserved’ standard gauge railway line. It was saved by the Stowarzyszenie Hobbystow Kolejowych (Society of Railway Enthusiasts) who persuaded the local council to take the line over. There was a flurry of activity here in 2008 since then nothing! The threat of court action continues to hang over the skansen. There was a court hearing last week which was immediately suspended because key PKP witnesses had not attended. The next session will take place on July 10. Till the matter is resolved the Skansen remains closed. More BTWT readers are needed to assist with the lobbying effort that is going on behind the scenes. Please get in touch if you would like to help. Skierniewice or Naleczow or both? So where to go next week? It has been a while since I visited the Skiernievice Skansen so the open day there is a big temptation, but Gregorz Sykut writes that the Stowarzyszenie na Rzecz Rozwoju Nadwislanskiej Kolei Wąskotorowej (Association for the Development of the Nadwislanska Narrow Gauge Railway) is running a special train followed by a film show at Karczmiska station. The train, film show and car parking are free. The start is at 5.30 PM and the Society have a plan to finish at 9:30 PM. At the station there will be an opportunity to purchase a meal from the grill and drinks. More details from: gsykut@gmail.com. 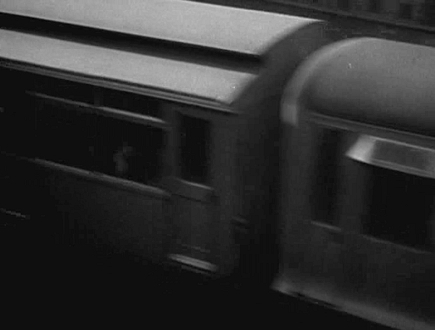 Hmm, narrow or standard gauge? Naleczow is not all that far from Skierniewice… it would be great to visit both!